Last night we had some beautiful dark clouds in our sky and we were hopeful that our parched land would get some more much-needed rain. Unfortunately the clouds weren't generous to our part of the land and went on to give to another area nearby that also badly needs it. 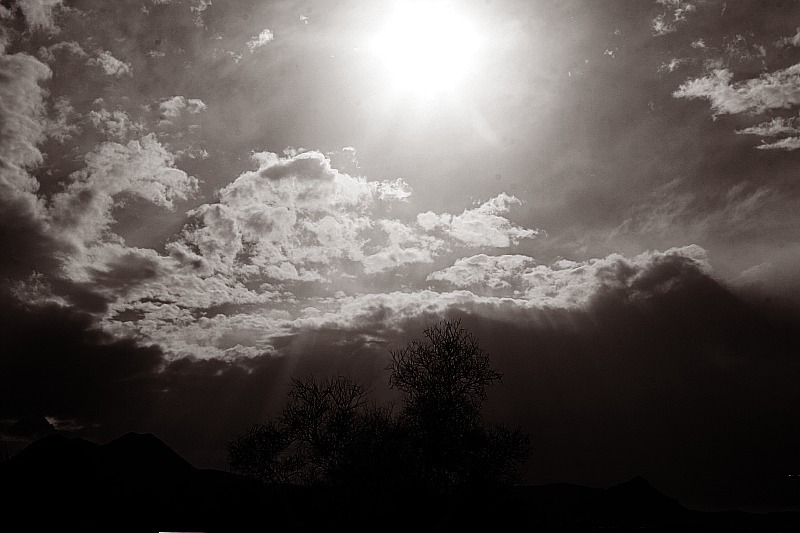 As the clouds broke open on occasion, the sun would cast beautiful rays down upon us. 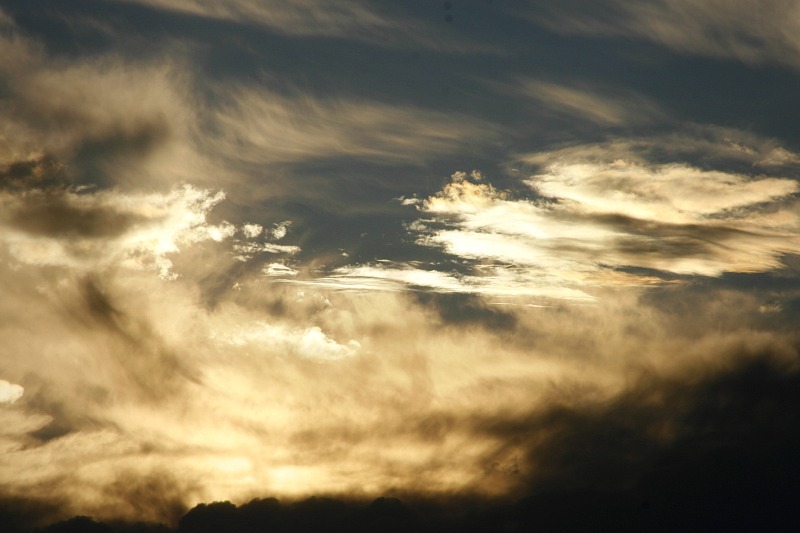 Then clouds lit up with the light behind and underneath them. I was hoping for a pretty sunset full of colors, but we didn't get that. Just these gorgeous skies for a short time. I was thankful for their beauty, anyway. They reminded me of God's light still being there, ever present even in our darkness. When things get tough and we don't see light, it hasn't left us and will break through. When we woke up this morning, the mountains were completely covered with fog and low clouds. I love cold, overcast days when the mountains are invisible. Sometimes I take for granted that I live in such a beautiful area and the views aren't always awesome to me as they are to those who come for vacations. When the clouds break up and the mountains return, I'm always reminded of what beauty surrounds me. Every day. 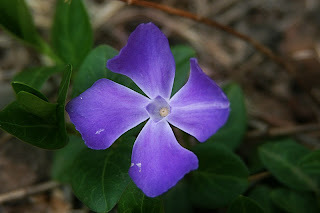 And while I was filling the bird feeders this morning, I looked down and saw a purple vinca that had just opened. I've been seeing their greenery slowly pop up around the house in the warmer days we've had lately but hadn't yet seen the flowers. I love the simplicity of these little flowers that blanket the ground - without any water or care - through spring and summer. Beautiful. I miss those wide-open skies.